Basil Hayden's latest release takes a slight detou... 2 Votes Up! Cruzan's newest rum, which will benefit storm vict... 2 Votes Up! 73 & Main: Small-town N.C. restaurant a must-visit... 9 Votes Up! Conviction Bourbon ready to break out of Whiskey P... 158 Votes Up! Eighth-generation Beam distiller releases second c... 3 Votes Up! Basil Hayden’s Two by Two Rye: Drink it straight 2 Votes Up! To friendship: Laphroaig's Cairdeas Fino Cask a mu... 3 Votes Up! A dram of Laphroaig 10-year is great way to celebr... 4 Votes Up! 'Giving a damn:' Greensboro's Fainting Goat Spirit... 8 Votes Up! Booker's 'Backyard BBQ' a slow, smoky sipper 6 Votes Up! Knob Creek cask-strength rye kicks things up a not... 4 Votes Up! Crown Royal Blenders’ Mash highlights the brand's... 2 Votes Up! Lassiter's Rum Au Cafe raises the bar on our favor... 9 Votes Up! Booker's and Old Overholt add even more oak and sp... 4 Votes Up! Booker’s honors Kentucky Bourbon Hall-of-Famer wit... 3 Votes Up! 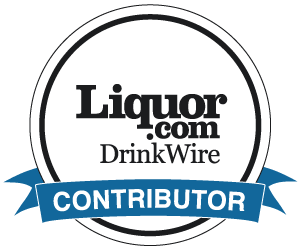 American hero: Heaven Hill honors North Carolina v... 4 Votes Up! Old Overholt bonded helps welcome the "olds" back... 15 Votes Up! Broad Branch Nobilium latest in an emerging cast o... 9 Votes Up! Broad Branch Nobilium latest in an emerging cast o... 15 Votes Up! Rum with a punch: Raleigh Rum hits sweet spot with... 18 Votes Up! Mystic Farm & Distillery in Durham, N.C., goes ‘gr... 10 Votes Up! Basil Hayden's Dark Rye corners the market on smoo... 5 Votes Up! Auchentoshan offerings veer toward smoothness, sub... 4 Votes Up! Laphroaig 27-year-old single malt is just plain sp... 8 Votes Up! Heaven Hill uses bluegrass to take whiskey lovers... 2 Votes Up!